Call me picky…call me a word snob… but the creation of a new housename by taking bits from owners’ personal names in the false hope that it looks like…well…the name of a house. The criteria normally used for naming houses…location, view, history etc… is surely enough…isn’t it? I always think of the next owners coming in and finding their home is named after the very people who took all the light bulbs and toilet paper prior to their leaving. And see one trend that cuts to the bone. ‘Cut and shut’ from another two names. They cost much less when they were mongrels. It’s half Bulldog, half Shih Tzu ‘fy’ask me. A little part of me dies inside. Let’s try it with Anthony and Kay. Like cheap headphones you’d buy off eBay. Sandbar Cottage is miles from the shore. Praised for calling their home Elsinor. Its location, character or view? Not stick two together and make do. The very kind of house name I meant. Enough to cheer up this malcontent. And a story I can guarantee. You can hang me from the pedant tree. Found him washed up in an unknown land. 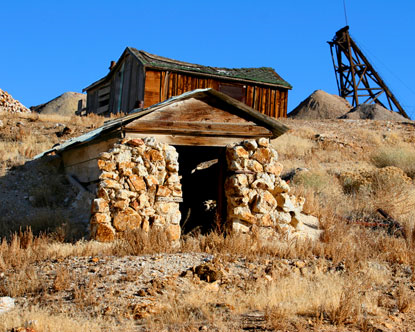 By mining gold out in Nevada. A foot on the property ladder. Hoping to have my theory confirmed. With some resolve; I knock on the door. As the answering takes quite a while. An old man with a disarming smile. Greetings exchanged; I come to the point. His laugh dislodged a build up of phlegm. “Best come through,” he finally proclaimed. She’s working on our family tree. Amid files which backed up his story. (The pedant’s pursuit of vainglory!). From a life better lived…post downfall. And triumphant return to Cornwall. They both smiled in treasured collusion. The dropped jaw betrayed my confusion. In a rasp not unlike Darth Vader. “You see my name is Neville…well Nev.
Next Next post: All real poets start off by being fascinated by the sound of words. Do they all write something but mean something else? Thanks for that Anna…the poem works better when I read it out aloud as I pronounce it Nuh-vahda.